photo-eye Gallery artist Mitch Dobrowner has won the prestigious L’Iris d’Or Sony World Photography Awards Photographer of the Year 2012! Congratulations Mitch! 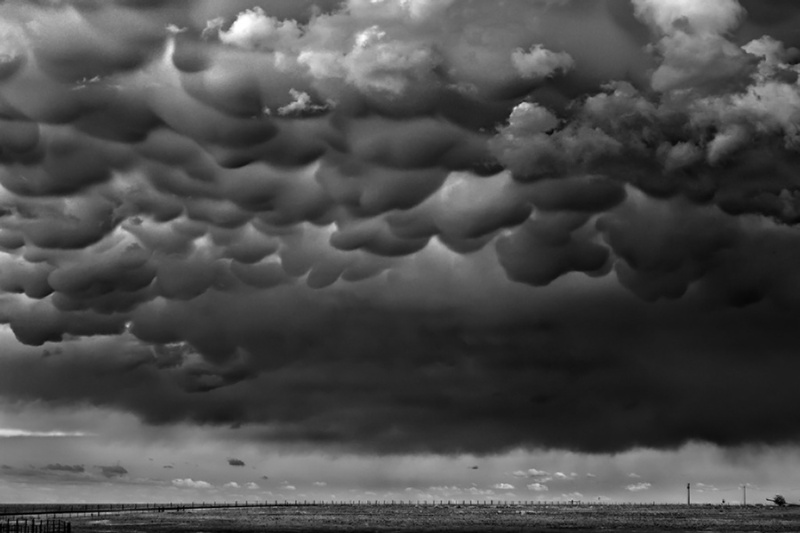 From the press release: Dobrowner was presented with the award during the Sony World Photography Awards Gala ceremony in London for his extraordinary series of images, Storms. Over 112,000 images were entered into the 2012 competition from 171 countries – the largest number of entries to date. Dobrowner said at the awards, "In landscape photography, there is one moment that will never be the same again. I want my images to do the speaking. That’s what photography is all about." WM Hunt, Chairman of the 2012 Honorary Judging Committee and MC of the 2012 Awards ceremony, said, "There is enormous pleasure in the jury's selection of Mitch Dobrowner because he is the best of what is classic and what is contemporary in photography. He brings a sense of its history and enormous skill in his craft while pushing his imagination and, even, physical strength. The work offers a visceral rush while being wonderfully well made. I think he is an exceptional choice." In honor of this award an exhibition of work by Mitch Dobrowner, as well as other winners will be on display at The Sony World Photography Awards Exhibition at Somerset House. Please contact photo-eye Gallery Associate Director Anne Kelly at 505-988-5159 x121 or anne@photoeye.com if you are intrested in purcasing work by Mitch Dobrowner. Work by Photographer’s Showcase artist Lydia Panas is on display at The Athens House of Photography Phototheatron in Athens, Greece through May 27th. See Panas’ work on the Photographer’s Showcase here. Congratulations to Aline Smithson who has been selected to received the Rising Star Award at the Focus Awards in Boston. The award will be presented on June 6th. Also in Boston, Smithson will be a keynote speaker for the Flash Forward Festival on June 8th and be showing photographs from her Arrangement in Green and Black, Photographs of the Photographer’s Mother series. You can see this series as well as other work by Smithson on the Photographer’s Showcase here. Congratulations to John Chervinsky who will be a Light Work artist in residence this upcoming fall. Chervinsky’s photographs are currently on exhibit at Richard Levy Gallery in Albuquerque. Featuring work from his Studio Physics and An Experiment in Perspective series, the exhibition will be up through May 25th. photo-eye is also happy to announce that we’ll be releasing a new portfolio from Chervinsky in the next few weeks! See Chervinsky’s work on the Photographer’s Showcase here. For more information contact photo-eye Gallery Associate Director Anne Kelly at 505-988-5159 x121 or anne@photoeye.com.